The Underground Center (UGC) is a charitable 501(c)(3) grassroots non-profit dedicated to researching, practicing and sharing ways of living that are sustainable and socially just. Some examples of what we practice and teach are organic food growing, natural building techniques, off grid infrastructure like rain catches and solar electric, and economic models of sharing labor and resources. In this time of environmental, economic, and social crises we believe the ideas and systems we investigate should be shared for free – and it is most important to share these skills with young people who have historically been locked out of the current sustainability-workshop culture. These are the folks best served to make critical change in our time. Since we don’t charge our participants we need your help to run our programs. In 2019 our goal is to focus on projects that form experiential learning opportunities for local youth. This includes expanding our collaboration with local schools and continuing to run our Apprenticeship and Saugerties Free Food Program. One piece of equipment that is the biggest help to our work is a truck. We are able to assist those in our community because our site provides needed materials for building soil and infrastructure – which massively cuts costs in starting sustainable projects. Our truck helps us get these materials to those in need without delivery cost. In 2018 we brought dozens of loads of compost, lumber, stone, wood chips, straw, seedlings and other materials throughout Kingston and Saugerties. Without a reliable truck the organizations and individuals that we help would have to pay for delivery costs – and those costs are a major barrier for those who can not afford it. Our old truck has accomplished heroic tasks over the years, but its life is coming to an end! This year we hope to raise enough money for a new to us (used!) truck so we can continue delivering materials for free. One of our most successful programs has been our apprenticeship which focuses on kids in our community who have the most need. We have been able to give hands on work opportunities to low-income local middle and high school students. 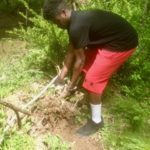 They acquire skills in farming, forestry, carpentry and basic off grid systems The kids love this work and gain important leadership skills, credits toward graduation, mentorship connections and some pocket money. Most importantly, these young people are helping to build sustainable infrastructure in our communities! This year we intend to expand our apprenticeship opportunities, building a large community garden, creating back yard gardens for people, designing and building off grid infrastructure and planting lots of trees. We want to continue to work with young people from under served communities who can only do this work if they get a small stipend. Our fundraising goal for a used truck and apprenticeship stipends for 2019 is $7,500. An ongoing project we are leading is the Saugerties Free Food Program. 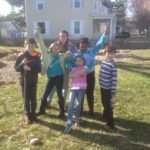 This project is designed to be both an educational experience for the kids involved, and a model to demonstrate how residents can grow food locally and sustainably. This work takes place as workshops in local schools where UGC staff teach kids soil building, and food growing techniques. Also, we introduce students to the science and philosophy of resilient and socially just environmentalism we advocate at the UGC. We also manage a network of gardens to host experiential education programming. The gardens are overseen by our staff and interns, as well as the kids from the Saugerties Boys & Girls Club. The food from these gardens go toward healthy cooked meals for the kid and a local free farmers market. Our work is split between the Saugerties High School garden, the B&GC garden, a community garden created from a previously empty lot in town (Re:seed Saugerties), and a small scale farm at the UGC site. 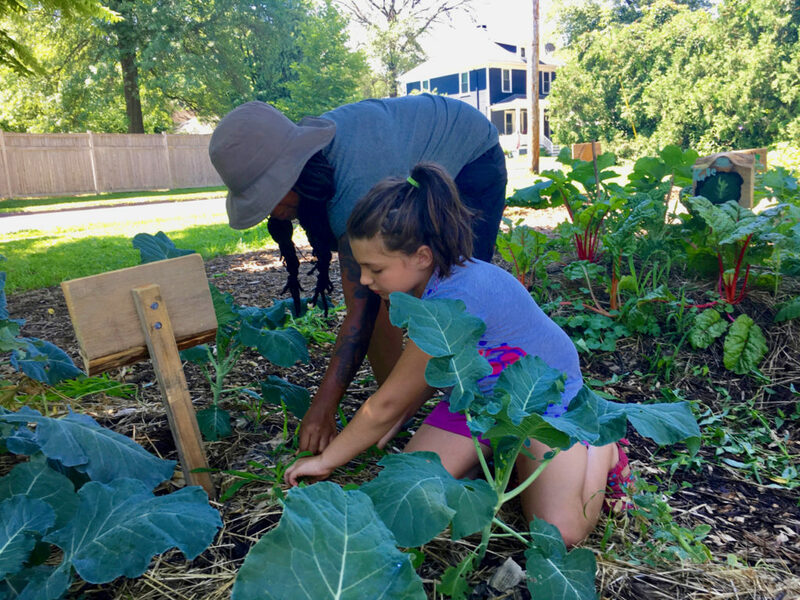 The kids involved in this program gain experience farming in various conditions and learn how to grow, harvest and cook a diverse and delicious local diet. As we share what we learn, this cooperative growing system can be adopted by homes and organizations in Saugerties and beyond as a viable alternative to our environmentally destructive and expensive commercial agriculture system. Get updates from The Underground Center.